Mayfield and Easthouses Community Chest poster - click to enlarge. Local residents in a disadvantaged area of Midlothian are being supported to decide how to spend £30,000 to support people who are struggling financially. Mayfield and Easthouses Community Chest is a Participatory Budgeting (PB) project that will provide support to families, individuals or groups that are struggling financially. Mayfield and Easthouses is an area with high levels of multiple deprivations. There is £30,000 in the pot, funded by the Scottish Government with match funding from Midlothian Council. 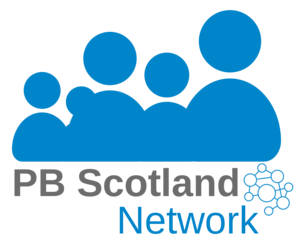 PB Partners delivered an initial planning session by for council staff, community group representatives and support workers. This led to the creation of a steering group and a project plan. The group discussed and formulated application criteria and promotional tools including posters, flyers, a social media profile and a slot on the local radio. Keeping steering group meetings short and focussed has helped maintain members’ enthusiasm. A local Sure Start dads groups was tasked with coming up with a name for the project and ‘Mayfield and Easthouses Community Chest’ was born. Information sessions are being held in community venues at a variety of times of the day. The information sessions will enable local groups to get further details about the application and the PB process. In addition the steering group is targeting existing groups and running an awareness raising campaign amongst local residents. Community members will be able to get support from Mayfield and Easthouses Development Trust to form new constituted groups and setting up a bank account. The steering group hope this will leave a legacy of increased community capacity in Mayfield and Easthouses. The Decision Day is planned for the 21 May. Click here to download the full flyer.